This article is about the Baseball Hall of Famer. For his son and former baseball player, see Tony Gwynn Jr.
Anthony Keith Gwynn Sr. (May 9, 1960 – June 16, 2014), nicknamed "Mr. Padre", was an American professional baseball right fielder, who played 20 seasons (1982–2001) in Major League Baseball (MLB) for the San Diego Padres. The left-handed hitting Gwynn won eight batting titles in his career, tied for the most in National League (NL) history. He is considered one of the best and most consistent hitters in baseball history. Gwynn had a .338 career batting average, never hitting below .309 in any full season. He was a 15-time All-Star, recognized for his skills both on offense and defense with seven Silver Slugger Awards and five Gold Glove Awards. Gwynn was the rare player in his era that stayed with a single team his entire career, and he played in the only two World Series appearances in San Diego's franchise history. He was inducted into the Baseball Hall of Fame in 2007, his first year of eligibility. Gwynn attended San Diego State University (SDSU), where he played both college baseball and basketball for the Aztecs. He was an all-conference player in both sports in the Western Athletic Conference (WAC), but was honored as an All-American in baseball. Gwynn was selected by the Padres in the third round of the 1981 MLB draft, as the 58th overall pick. He made his major-league debut the following year, and captured his first batting title in 1984, when San Diego advanced to its first-ever World Series. A poor fielder in college, Gwynn's work on his defense was rewarded in 1986, when he received his first Gold Glove. The following year, he won the first of three consecutive batting titles. Beginning in 1990, Gwynn endured four straight seasons which ended prematurely due to injuries, particular to his left knee. However, he experienced a resurgence with four straight batting titles starting in 1994, when he batted a career-high .394 in a strike-shortened season. Gwynn played in his second World Series in 1998, before reaching the 3,000-hit milestone the following year. He played two more seasons, hampered by injuries in both, and retired after the 2001 season with 3,141 career hits. A contact hitter, Gwynn excelled at hitting the ball to the opposite field. After meeting Hall of Famer Ted Williams in 1992, Gwynn became more adept at pulling the ball and using the entire field, as well as hitting for more power. He could also run early in his career, when he was a stolen base threat. Widely considered the greatest player in Padres history, Gwynn regularly accepted less money to remain with the small-market team. After he retired from playing, the Padres retired his No. 19 in 2004. Gwynn became the head baseball coach at his alma mater, and also spent time as a baseball analyst. Gwynn died of salivary gland cancer in 2014 at the age of 54. As a junior, he was the starting point guard on Poly's basketball team that went 30–1 and won the Southern Section 4A title. 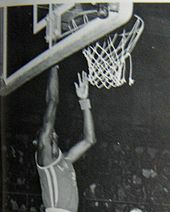 The final was played before over 10,000 fans at the Long Beach Arena, where Gwynn scored 10 points in the 69-50 victory over Buena of Ventura. His teammates included Michael Wiley, who became a professional player in the National Basketball Association (NBA). In his senior year, Poly was 23–7, and again advanced to the championship round in spite of finishing third in the Moore League. Their bid for a second straight title ended with a 57–50 loss to Pasadena. Gwynn averaged 10.3 points and totaled 178 assists for the season, and he was named to the All-CIF Southern Section Second Team. After the season, he switched to baseball, whose season was already well underway. Despite his shortened season, he earned first-team All-Southern Section honors after batting .563. Poly's baseball teams struggles taught him to remain focused and continue to execute and stay productive. That year, Gwynn had two five-hit games, the first of eight in his career. He won his second batting title that season after hitting .370. It was the highest average in the NL since Stan Musial hit .376 in 1948. He also stole 56 bases and became the first NL player to hit .370 and steal 50 bases. [a] Gwynn never went more than eight at-bats without recording a hit, and he had a hit in 82 percent of the 155 games he batted. His 218 hits also led the league. He led the league in WAR, and was second in stolen bases, triples (13), and on-base percentage (OBP) (.447); he also ranked fourth in runs scored (119) and 10th in walks with a career-high 82. His average, hits, runs and triples were all Padre records. Although he only hit seven homers, Gwynn was second in the league with 26 intentional walks, which was indicative of the reverence for his hitting prowess. He finished eighth in the voting for NL MVP, but continued to resist altering his hitting style to hit more home runs to earn more respect. The same year, Wade Boggs in the American League (AL) won his fourth batting title in five years, hitting .363 with 24 home runs, but finished ninth in MVP voting. During the last three months of the 1987 season, a finger on Gwynn's left hand would lock when he gripped a bat. It would come open barely enough for the bat to slip out from his grip. He had surgery on the hand during Spring training the following season. Early in 1988, Gwynn was on the DL for 21 days after spraining his thumb after tripping rounding first base in Pittsburgh. He was hitting .246 as late as July 2, 1988, but won the championship with a .313 average. Gwynn batted .406 in July and .367 in the last 73 games of the season. He denied that injuries impacted his hitting, instead attributing his struggles to "mechanics". He struck out a career-high 40 times that season, while his .313 average was the lowest to win a title in NL history. In the 112 years before, only nine batting leaders hit below .330, the previous low being Larry Doyle's .320 in 1915. For the 25 years ending in 1988, batting leaders averaged .343. Gwynn hit 119 points higher with runners on base (.382) than with the bases empty (.263), the largest differential in the NL that season. He tied Pedro Guerrero for the highest average with runners in scoring position (.371). [b] During the season, McKeon replaced Bowa as Padres manager, and moved Gwynn from right to center field. Gwynn also reached 1,000 career hits on April 22 with a single off Nolan Ryan of the Astros. On September 17, he passed Dave Winfield as the Padres career leader in hits with his 1,135th off Jim Acker of the Atlanta Braves. Widely respected by his peers and known as one of the most dedicated players in baseball, Gwynn in 1990 was accused by some teammates of being selfish and caring more about his batting average than winning. First baseman Jack Clark, most notably, stated that Gwynn should be swinging with runners in scoring position instead of bunting and protecting his batting average. Clark did not approve of Gwynn bunting with runners on first and second with nobody out, believing he was trying to either bunt for a hit or get credit for a sacrifice if he failed. On the other hand, Gwynn felt he was advancing runners for the team's "game changers"—Clark and Joe Carter—which was consistent with McKeon's style. Gwynn said he resorted to bunting to advance the runners because he was not a good pull hitter. "No one bothers Tony Gwynn because he wins batting titles, but the Padres finish fourth or fifth every year", said Clark, who also stirred controversy on his prior teams. Teammates Mike Pagliarulo and Garry Templeton sided with Clark, who also said Gwynn was "50 pounds overweight", leading to his lower stolen base total. Stung by the criticism, Gwynn was miserable the rest of the season and became withdrawn and distrustful among his teammates. Conscious of being perceived as selfish, he altered his hitting style by attempting to pull the ball to move runners in situations where he would normally hit to the opposite field. Rumors that he might be traded affected his play. In September, Gwynn was upset when a figurine of his likeness was hanging in effigy in the Padres' dugout, and race became an issue due to the undercurrent of lynchings being evoked with Gwynn being black and Clark being white. The Padres said a groundskeeper was responsible, but Gwynn believed it was a cover-up. Clark denied any involvement. After breaking his right index finger mid-month in Atlanta while trying to make a catch at the wall, Gwynn missed the final 19 games of the season. He left the team for the season to avoid contact with the media and teammates. He was further upset that neither management nor other teammates came to his defense at the time. He later regretted saying he wanted to avoid his teammates in general instead of being more specific which ones he was referring to. "It just involved one great guy, and that's Tony Gwynn, and anything they want to say about Tony Gwynn is going to be news. It got all blown out of proportion", Carter said. Gwynn countered, "I've been doing the same things my whole career, playing the same way. Now, why is it an issue? Because Jack Clark says it is." Gwynn finished the season batting .309, ranking sixth in the league but the lowest average of any full season in his career;[c] he had entered the season with a .332 career average. However, his 72 RBI that season were a then-career high. He also began experiencing soreness and swelling in his left knee. The cartilage under his kneecap was wearing out, which doctors attributed to his playing basketball and baseball year-round for seven years from high school through college. Gwynn in 1991 passed Gene Richards as the Padres' all-time leader in steals and triples. He reached a season-high batting average of .373 in June, and late in the month was among the league leaders in RBIs. His left knee began causing him problems before the All-Star break, and he had been suffering from shin splints as well. He injured his left knee on August 5 at Houston while sliding into second base. He played through the injury, missing just one game over the next ​3 1⁄2 weeks. He had fluid drained from his knee on August 31, and played just once in the week that followed while surgery was discussed. He attempted to finish out the season, but lasted just five more games. He underwent arthroscopic surgery to clean out the knee and smooth the articular cartilage, missing the final 21 games of the year. Gwynn was leading the league in hitting at .326 late in August, and had enough plate appearances already to qualify for the title, when many people—including his father and Padres announcer Jerry Coleman—advised him to take care of his knee and secure another batting title. However, Gwynn was still reeling from Clark's criticism over his conditioning and being selfish, and he wanted to continue playing. Gwynn finished the season ranked third in batting at .317, behind Terry Pendleton (.319) and Hal Morris (.318). After the All-Star Game, he hit just .243. In 1992, Gwynn ended the season on the DL for the third straight year. On September 8 in a 16-inning game in San Francisco, he had the third five-hit game of his career and his first since 1987. He sprained the medial collateral ligament in his left knee in the same game, and played just four more innings the rest of the season. He required arthroscopic surgery on the knee. Gwynn met Hall of Famer Ted Williams for the first time during the 1992 All-Star Game, which was hosted at San Diego Jack Murphy Stadium (known later as Qualcomm Stadium). At the time, Gwynn considered himself to be an accomplished hitter, content to hit singles and doubles. Williams called Gwynn "a big guy", capable of hitting for more power. He chided Gwynn for using a "toothpick" for a bat. His encounter with Williams spurred him to think more about hitting, and he began to hit for more power. "I've never been a home run guy, never been a big RBI guy, but from that point to the end of my career, I was much better at it", said Gwynn. For years during Gwynn's career, media preseason predictions declared that "this season" he would become the first player to hit .400 since Williams in 1941. Relatively healthy in 1994, Gwynn batted .394, his career-high and the highest in the National League since Bill Terry hit .401 in 1930. He also had a league-leading .454 OBP. From April 22 through the 24 against Philadelphia, he had eight consecutive hits and reached base nine straight times, tying Padres records held by Winfield and Bip Roberts, respectively. Gwynn was batting .383 at the All-Star break; however, talk of a strike by the Major League Baseball Players Association (MLBPA) was looming, and he wanted to get to .400 before that date. He hit .423 over 28 games in the second half, and heated up to .475 though 10 games in August, when the season ended prematurely on August 11 due to the baseball strike. He was 6-for-9 in the last two games and 3-for-5 in the eventual finale, falling short of batting .400 by three hits. Fans were awaiting an end to the strike and for Gwynn to resume his quest for .400, but hopes of the season restarting were dashed when the World Series was canceled. He later commented, "I'm not unhappy or bitter that the strike came. I look at it this way: I would have sooner fell short due to the strike than if I would have hit .400 and then the strike came. Then people would have thought I would have collapsed down the stretch, instead of being at .390 when the strike came and being so close." That year, Gwynn pulled the ball with greater regularity. He was 10th in the league with a slugging percentage of .568, which was also his career-high. His 12 homers in 419 at-bats was a higher rate than in 1986, when he hit a then-career high 14 homers in 642 at-bats. He won another batting title (.368) in 1995. For the second straight year, he did not go longer than two games without a hit. He led the NL in batting with runners in scoring position (.394), and he had a then-career high 90 RBI. Gwynn hit in 15 straight games in July, his longest hitting streak since his 18-game run in 1988. He hit 28-for-65 (.431) with 15 RBI during the streak. Although he missed batting .400 in 1994, he batted .403 during a 179-game stretch between July 3, 1993 and May 9, 1995. In 1996, the Padres won the division with 91 wins and returned to the playoffs for the first time in 12 years. Gwynn called it the worst injury season of his career. His hurt heel in April was diagnosed as an inflamed bursa sac. He tried multiple shoes to alleviate the pain, and was on the DL for a month at midseason. He played the rest of the year in pain, and surgery after the season revealed a 40 percent tear (or fraying) at the top of his right Achilles' tendon. On September 28, Gwynn hit a patented single between third base and shortstop to score two runs and break a 2–2 tie in the eighth against the Dodgers, clinching a playoff berth for the Padres. He called it his most memorable regular-season hit until his 3,000th career hit. Gwynn's brother, Chris, also played for San Diego that season and hit the game-winner in the season finale in extra innings, completing a three-game sweep over Los Angeles to win the division. Chris had only hit .169 entering the game, and some fans were convinced that he was on the team only because of his brother. Earlier in the week, Gwynn had criticized fans for booing his brother. "Today, I'm just Chris Gwynn's anonymous brother," said Gwynn, who also won his seventh batting title that day. Although he was four plate appearances (PAs) short of the minimum to qualify for the title, MLB Rule 10.22(a)—which also came to be known as the Tony Gwynn rule—allowed hitless at-bats to be added to his record to qualify. Gwynn, who batted .353 in 498 PAs, would have dropped to .349 with the extra at-bats, still five points better than second-place Ellis Burks' .344. In the postseason, the Padres were swept by the St. Louis Cardinals in the opening round. In April 1997, Gwynn signed a three-year contract extension for $12.6 million. Recovered from his Achilles problem the year before, he was able to plant his front foot to pull inside pitches. That season, Gwynn reached career highs with 17 home runs and 119 RBIs. He batted .372 for his eighth batting title, second only to Ty Cobb (12). He led the NL in hits for the seventh time, tying Rose's record. The 220 hits led the majors and was a new team record. Gwynn led the majors with a .459 average with runners in scoring position. In his 16th season, he became the oldest major leaguer at age 37 to reach 100 RBIs for the first time. His RBI total was the second-highest in club history. He also hit a Padres record of 49 doubles, ranking second in the league, and established a career-best of 324 total bases. On June 7, Gwynn hit his 100th career home run off of Donne Wall of Houston, becoming the third Padre to reach the mark. He was batting .402 on July 14, the latest in the season he had ever been at .400. However, his average tailed off as he suffered from kidney stones later in the month, and he also battled problems with his left knee that required postseason surgery. The Padres bought out their $6 million option on Gwynn for 2001, paying him $2 million instead, and he became a free agent for the first time. After weeks of negotiation that were at times bitter, Gwynn re-signed with the Padres for 2001, agreeing to a one-year, $2 million contract with a chance to earn another $3.7 million in performance incentives. However, he was hampered that season by problems to his right leg, which had been his "good leg", and was limited to just 17 games on the field. In the first half of the season, he missed 64 games due to a right hamstring that resulted in two stints on the DL. After returning, he began having problems with his right knee. He was limited to pinch-hitting duties and started only one game after mid-July due to a torn meniscus in the right knee. Gwynn formally announced on June 28 that he would retire at the end of the season, and subsequently received an ovation at each stadium the Padres visited. He was honored as a non-playing squad member at the 2001 All-Star Game During the game, he and Cal Ripken, who had announced his retirement nine days before Gwynn, were presented the Commissioner's Historic Achievement Award by Commissioner Bud Selig. On October 6, 2001, at Qualcomm Stadium, Gwynn had a pinch RBI double off Gabe White of Colorado for the final hit of his career. He considered starting the next day in the final game of the season, but he was not confident he could handle a fly ball. In his final appearance, he pinch hit in the ninth inning, grounding out to shortstop. Although he was limited to only 112 plate appearances, Gwynn finished the season with a .324 average, his 19th consecutive season batting at least .300. Among Gwynn's primary strengths was his patience in allowing the ball to reach the strike zone before starting his swing. His bats were as small as anyone used during his career, and their lightness allowed him to wait longer before committing to his swing; he was rarely fooled by a pitch. Growing up, he was not overparticular about his baseball bats, using anything that was available. Gwynn started with a 34-inch, 32-ounce aluminum bat in college. As a junior, he had to replace it as after it got dented, and came across a 32-inch, 31-ounce model that was more to his liking. At his first minor league stop at Walla Walla, the shortest bat they had was 34 inches. To Gwynn's surprise, he uncharacteristically started hitting home runs. On their first road trip to Eugene, Oregon, he acquired a couple of 32-inch bats that he could better handle. In the first 12 years of his MLB career, Gwynn used a 32½-inch, 31-ounce bat. In his final eight years, he employed a 33-inch, 30½-ounce bat. [d] Gwynn wanted his wooden bats light like his aluminum ones in college. Instead of having the barrel of his bats shaved, as many batters do, he had them "cupped", with the end of the barrel hollowed out like the bottom of a wine bottle. His small hands required that he use thin-handled bats. His bat control made him a good hit-and-run batter, although some former teammates complained he would swing for a hit even when a player was trying to steal, depriving his teammate of a stolen base. Gwynn was able to hit the ball to all fields, but liked to hit balls the opposite way to the left, between third base and shortstop. Gwynn dubbed it the "5.5 hole", since baseball scorekeeping designates third base using a 5 and shortstop with a 6. He preferred an outside pitch, waiting as long as possible and using his strong wrists to quickly hit the ball. He was not considered a home run hitter, reaching double-figures just five times, but he was a gap hitter with power to drive hits between outfielders. Opposing outfielders typically played him deep. Gwynn became a complete hitter after following Ted Willams' advice to drive inside pitches instead of finessing them, which Gwynn learned he could do without sacrificing his average. He initially thought that home runs were "boring", and he concentrated on his craft of making contact. However, Williams said Gwynn was "wasting an opportunity", and convinced him to turn on inside fastballs more and capitalize on his strength and power pitchers pitching him inside. Applying Williams' approach, Gwynn employed the entire field, and was no longer satisfied with mostly hitting to left field. His home runs increased, and he drove in more runs. Forty-three of his 135 career home runs were in his final three full seasons (1997–99). [c] Gwynn credited his later improvement to Williams and his book, The Science of Hitting, which he said that he read "four or five times a year". He and Williams became friends, and they often talked for hours about hitting. Gwynn lamented not having met Williams earlier and possibly adjusting his hitting approach sooner. Gwynn was inducted into the Padres Hall of Fame in 2002, and the team retired his No. 19 in 2004. He was inducted into the California Hall of Fame in 2016. In 2007, a 9½-foot (2.9 m), 1,200-pound (540 kg) bronze statue of Gwynn was unveiled in the park just beyond Petco Park's outfield in an area named Tony Gwynn Plaza. The address of Petco Park is 19 Tony Gwynn Drive. In 2014, the Mountain West Conference posthumously renamed its baseball Player of the Year Award to the Tony Gwynn Award. At the 2016 All-Star Game in San Diego, MLB announced that the annual winner of the NL batting title would be known henceforth as the "Tony Gwynn National League Batting Champion". On January 9, 2007, Gwynn was elected to the Baseball Hall of Fame, being selected on 532 out of 545 ballots (97.61%), the seventh highest percentage in Hall of Fame voting history. He was relieved that he did not exceed Tom Seaver's record of 98.8 percent. Gwynn considered his selection to be validation for the value of contact hitters, who are not as celebrated as power hitters. He was inducted alongside Cal Ripken Jr. on July 29, 2007. Ripken and Gwynn are two of the 46 players in the Hall of Fame who played their entire major league career for only one team. Both were elected almost unanimously in their first year of eligibility. Gwynn was a 15-time All-Star, voted 11 times by fans to be a starter. He accumulated 3,141 hits and a career batting average of .338, and hit .371 in two World Series. Gwynn was often lauded for his artistry at the plate, and his Hall of Fame plaque refers to him as "an artisan with the bat". The New York Times called him "arguably the best pure hitter of his generation". Hall of Fame pitcher Greg Maddux, against whom Gwynn had more hits than any other pitcher, called him "the best pure hitter in the game. Easily". [e] A 1997 Sports Illustrated cover declared Gwynn as "The Best Hitter Since Ted Williams". Gwynn won eight NL batting titles, tying him with Honus Wagner for the league record— second only to all-time Major League leader Ty Cobb, who won 12 AL titles. He finished in the top 10 in batting for 15 consecutive seasons. From 1984 though 1997, he finished in the top five in all but one season (1990), when he missed it by one hit. He recorded five of the 14 highest season averages since Ted Williams hit .406 in 1941. Gwynn hit above .300 in an NL-record 19 consecutive seasons, exceeded only by Cobb (23). The only season Gwynn failed to bat .300 was his first, when he hit .289 in 54 games. Seven times he batted over .350, the most of any player since World War II. He was just the fourth player in MLB history to hit above .350 for five consecutive years. [f] During that span (1993–1997), which was preceded by his first meeting with Williams, Gwynn averaged .368 while leading the league each season except 1993, when he hit .358 to finish second. The four consecutive NL batting titles he won starting in 1994 had not been matched since Rogers Hornsby won six straight beginning in 1920. Gwynn is the only major leaguer to win four batting titles each in two separate decades, and he batted .351 over his final 10 seasons. Six times he led the NL in both batting average and hits in a season, and five times he reached the 200-hit milestone. Gwynn's .338 career average is the highest of any player who began his career after World War II, and ranks 17th all-time; he and Williams are the only ones of the top-17 to play after 1938. Gwynn had the fourth-highest career average of any player with 3,000 hits,[g] and the highest of anyone who was born after 1900. Playing in an era when around 75 batters struck out 100 times in a season, Gwynn never struck out more than 40 times a year. He had eight seasons, including six consecutive, when he had fewer than 20 strikeouts. [c] Ten times in his career he finished the season as the hardest player in the NL to strike out. Since 1975, Gwynn is one of only two players that batted .300 in a season while striking out at most once every 25 at-bats. [h] He struck out only 434 times in his whole career, which averaged out to just once every 21 at-bats, or 29 times per 162 games. He became more difficult to strike out later in his career, even as pitchers were growing bigger and stronger and throwing harder. He stuck out three times in a game just once in his career, compared to his 297 career three-hit games. Gwynn is one of five players with more than 500 doubles and fewer than 500 strikeouts in their career and the only Hall of Famer since 1965 to finish his career with more doubles than strikeouts. [i] He did not draw many walks, but drew more walks than strikeouts in every season but his rookie year. Though he was not considered a power hitter, opposing managers chose to intentionally walk him nonetheless. He drew 203 intentional passes during his career, which was 50 percent more than his career home run total. Gwynn was solid on defense, and won five Gold Gloves in a six-year span. He stole 318 bases in his career, with a high of 56 and a four-year stretch when he averaged 40. Only four players in MLB history had 300 steals and a career batting average of at least .338; Gwynn was the only one of the four to have played since 1928. [j] He was also just the 10th player to retire with over 3,000 hits and 300 steals. Gwynn in 1999 was the first National League player to reach 3,000 hits since Lou Brock in August 1979. Seven American Leaguers reached the mark after Brock and before Gwynn; all but one played at least 400 games as a designated hitter. An NL player could not be a DH until 1997, when it was allowed for the few interleague games that were played in AL parks. Just six of Gwynn's first 3,000 hits came as a designated hitter. "If you want to do it in the National League, you have to play a position", he said. "It's been 20 years since anybody has been able to do it. That tells you how tough it is to do it in this league." Gwynn was the 11th player to collect all 3,000 hits with one team. George Brett of the Kansas City Royals and Robin Yount of the Milwaukee Brewers were the last to achieve the milestone for one team in 1992. He played his entire career for San Diego, a rarity for his generation in an era of free agency. "In this era it doesn't happen. It takes a little bit of loyalty and luck. It also takes the organization wanting a player to stay with the club", said Gwynn. He regularly took less money to keep his family rooted in San Diego, which prompted criticism from the MLBPA for his setting a lower market value for other star hitters. Gwynn earned $47 million as player, but never received more than $6.3 million in a season, nor signed a contract valued over $12.25 million. Only 17 MLB players have played at least 20 seasons with one club. He is widely considered the greatest Padres player ever. "There's simply no bigger figure in baseball that San Diego's ever had", said former teammate Trevor Hoffman. The San Diego Union-Tribune placed Gwynn No. 1 in their 2014 ranking of the city's most influential sports figures. He eschewed the added fame that might have come from playing elsewhere, opting instead to stay with the small-market team that had just seven winning seasons and three playoff appearances during his two decades with them. Gwynn transcended sports and became a civic icon. "It's rare, and becoming rarer, that one man is so identified with a franchise and a city as Tony is with San Diego and the Padres", said political columnist and baseball writer George Will. Grantland called him "quite simply, one of the most beloved figures in the history of the city of San Diego." Despite his fame, Gwynn was renowned for his dignity and modesty. He was honored for his character and humanitarianism with the 1995 Branch Rickey Award, the 1998 Lou Gehrig Memorial Award and the 1999 Roberto Clemente Award, which USA Today called "baseball's Triple Crown of humanity and kindness". Tom Verducci of SI.com called Gwynn "an ambassador not just for the game of baseball but for mankind". Commissioner Selig called Gwynn "the greatest Padre ever and one of the most accomplished hitters that our game has ever known, whose all-around excellence on the field was surpassed by his exuberant personality and genial disposition in life". Gwynn was married to Alicia Gwynn, and was the father of R&B singer Anisha Nicole and major league outfielder Tony Gwynn Jr., whose major league debut (with the Milwaukee Brewers) and first major league hit on July 19, 2006, came 24 years to the day of his father's first major league hit—each Gwynn hit a double. Gwynn's brother, Chris, was also a major league outfielder. Both Chris and Tony Jr. played with the Padres during their careers. Until Gwynn's death he split time between homes in Poway, California, and Fishers, Indiana. Gwynn had three procedures to remove noncancerous growths from his parotid gland since 1997. In 2010, he was diagnosed with cancer of a salivary gland and had lymph nodes and tumors from the gland removed. The operation left his face partially paralyzed on the right side, leaving him unable to smile. Later that year, he underwent eight weeks of chemotherapy and radiation treatments. He was declared cancer free afterwards, and also regained his ability to smile. Additional surgery was performed in 2012 to remove more cancerous growth and address nerve damage. Gwynn attributed the cancer to the dipping tobacco habit that he had since playing rookie ball in Walla Walla in 1981. Doctors, however, stated that studies had not linked parotid cancer with use of chewing tobacco. 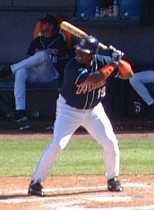 After his playing career ended, Gwynn's weight peaked at 330 pounds (150 kg), and he underwent adjustable gastric banding surgery in 2009 in an attempt to lose weight. He did not closely adhere to the diet, and his weight loss began to stall. In 2010, his weight problem led to a slipped disc in his back that affected a nerve down his leg. He needed a walker before he had the damaged disc removed to cure the pain while walking. Later, he experienced a loss of taste for food during radiation therapy for his cancer, and while being limited to a liquid diet, he lost 80 pounds (36 kg), all of which he regained after he resumed eating solid foods. A public memorial service was held for Gwynn at Petco Park on June 26, 2014. The service was attended by 23,229 fans, who heard tributes to Gwynn from baseball and civic leaders, and from Gwynn's family. ^ Tied with Willie Keeler, Ty Cobb, Stan Musial, and Ichiro Suzuki. ^ Other major leaguers include George Sisler, Ty Cobb, Tris Speaker, and Benny Kauff. ^ Baseball-Reference.com lists his average in scoring position as .371, not .382 as in Men at Work. .382 was his average with runners on base. ^ a b c Limited to seasons where Gwynn played 100 games or more. ^ In comparison, slugger Babe Ruth used bats ranging 44 to 52 ounces. Ernie Banks hit 512 career home runs using a 32 ounce bat. ^ Gwynn hit 39-for-94 (.415) with no strikeouts and seven intentional walks in his career against Maddux. ^ Cobb (11 times, 1909–1919), Rogers Hornsby (6, 1920–1925), and Al Simmons (5, 1927–1931) achieved it before him. ^ Bill Buckner did it four times, while Gwynn had eight. ^ Others include Paul Waner, Charlie Gehringer, Tris Speaker and Nap Lajoie. ^ The others are Cobb, Lajoie, and Tris Speaker. ^ a b c d e f g h Rhoden, William C. (October 1, 1996). "A Tale From The Brothers Gwynn". The New York Times. Archived from the original on June 15, 2012. ^ Staples, Bill; Herschlag, Rich (2007). Before the Glory: 20 Baseball Heroes Talk About Growing Up and Turning Hard Times Into Home Runs. Health Communications, Inc. pp. 367–73. ISBN 9780757306266. Retrieved September 5, 2015. ^ a b c d e f g h Goldstein, Richard (June 16, 2014). "Tony Gwynn, Hall of Fame Batting Champion, Dies at 54 of Cancer". The New York Times. Archived from the original on June 17, 2014. ^ a b c d e Eisenberg, Jeff (June 17, 2014). "Visiting Tony Gwynn's hometown reveals some secrets to his success". Yahoo! Sports. Archived from the original on September 5, 2015. ^ a b c Keisser, Bob (July 26, 2007). "Path to Hall began in L.B." Los Angeles Daily News. Archived from the original on September 7, 2015. ^ Will, George F. (1990). Men at Work: The Craft of Baseball. MacMillian. p. 164. ISBN 0-02-628470-7. ^ Staples, Herschlag 2007, pp. 367. ^ a b c Benson, Lee (October 12, 1984). "Gwynn has no 2nd thoughts about 2nd love". The Deseret News. p. 4B. Retrieved October 1, 2012. ^ a b Staples, Herschlag 2007, pp. 373–4. ^ a b c d "Talking hitting with Stan Musial and Tony Gwynn". Sporting News. July 28, 1997. Archived from the original on September 6, 2015. ^ a b c d e f Tennis, Mark (June 17, 2014). "Tony Gwynn nearly quit baseball". CalHiSports.com. Archived from the original on September 5, 2015. ^ a b c d e Canepa, Nick (September 13, 1984). "Tony's average isn't only thing that's fat". Evening Tribune. p. C-1. ^ a b Guardabascio, Mike; Trevino, Chris (2015). Basketball in Long Beach. Arcadia Publishing. p. 98. Retrieved September 5, 2015. ^ "Purvis Miller Is CIF "AAAA" Basketball Player Of Year 1977" (PDF) (Press release). Citizens Savings Athletic Foundation. March 31, 1977. Archived (PDF) from the original on September 5, 2015. ^ Staples, Herschlag 2007, p. 381. ^ a b c d Maffei, John (November 24, 2007). "Gwynn's legend grew at SDSU". North County Times. Archived from the original on September 5, 2015. ^ a b c d e f g Cushman, Tom (December 2006). "Hitting the Hall". San Diego Magazine. 59 (2): 134. ISSN 0036-4045. Archived from the original on September 5, 2015. ^ a b c d e "19 Tony Gwynn". goaztecs.cstv.com. Retrieved October 10, 2010. ^ a b c d e f g h i j k l m n o p q r s t Jaffe, Jay (June 16, 2014). "Tony Gwynn, a pioneer, a legend and a Hall of Famer, dies at age 54". SI.com. Archived from the original on September 6, 2014. ^ a b Cushman, Tom (October 7, 2001). "Dietz's Gwynn connection happened by accident". The San Diego Union-Tribune. p. C-6. ^ Canepa, Nick (January 10, 2007). "The masterstroke". The San Diego Union-Tribune. Archived from the original on September 6, 2015. ^ a b c Ringolsby, Tracy (June 16, 2014). "Meacham played big role in Gwynn's legacy". MLB.com. Archived from the original on September 5, 2015. ^ Maffei, John (July 18, 2012). "COMMENTARY: Gwynn began road to Hall of Fame 30 years ago this week". North County Times. Archived from the original on October 5, 2012. ^ Kreidler, Mark (April 9, 1985). "Gwynn hits the jackpot in 1984". The San Diego Union. p. Baseball-1. ^ a b c Kuenster, John, ed. (2006). The best of baseball digest: the greatest players, the greatest games, the greatest writers from baseball's most exciting years. Ivan R. Dee. p. 406. ISBN 1566636558. ^ a b c d e f g h i j k l m n Kurkjian, Time (December 28, 2006). "Since Williams, no greater hitter than Gwynn". ESPN.com. Archived from the original on June 14, 2012. ^ Haudricourt, Tom (May 4, 1998). "Hit man: Gwynn's still the toughest out around". Milwaukee Journal Sentinel. p. 4C. Retrieved September 5, 2015. ^ a b c Maffei, John (January 1, 2008). "Padres took their time drafting Gwynn in 1981". North County Times. Archived from the original on September 5, 2015. ^ a b c Sullivan, Paul (June 16, 2014). "Tony Gwynn did it his way -- as a Padre". Chicago Tribune. Archived from the original on September 4, 2015. ^ "Tony in his own words". U-T San Diego. June 30, 2007. Archived from the original on September 7, 2015. ^ a b c d e Verducci, Tom (June 25, 2007). "Talking a Good Game". Sports Illustrated. Archived from the original on September 6, 2015. ^ Chandler, Bob; Swank, Bill (2012). Bob Chandler's Tales From The San Diego Padres Dugout: A Collection of the Greatest Padres Stories Ever Told. Skyhorse Publishing. p. 327. ISBN 978-1-61321-088-8. ^ a b c d e f Posnanski, Joe (December 21, 2013). "No. 75: Tony Gwynn". joeposnanski.com. Archived from the original on June 20, 2014. ^ Adande, J.A. (August 7, 1999). "A Tony Neighborhood". Los Angeles Times. Archived from the original on June 16, 2014. ^ a b c d e ESPN.com News Service (June 16, 2014). "Hall of Famer Tony Gwynn Dies". ESPN. Archived from the original on June 16, 2014. ^ a b Jenkins, Chris (June 12, 2015). "Tony Gwynn: 19 memories of No. 19". The San Diego Union-Tribune. Archived from the original on August 16, 2015. ^ Collier, Phil (June 22, 2014). "Gwynn's mind boggled by his rapid ascent to Major Leagues". The San Diego Union-Tribune. Archived from the original on September 3, 2015. ^ a b c d e f g h i Verducci, Tom (August 9, 1999). "Single Minded". Sports Illustrated. Archived from the original on June 13, 2012. ^ a b c d e f g h i j k l m Center, Bill (October 3, 2001). "Hazardous Duty: Gwynn Has Endured Injuries During Much Of His Playing Career". The San Diego Union-Tribune. Missed 64 games during two stints on disabled list (April 21 – May 8 and May 11 – July 3). ^ a b c Staples, Herschlag 2007, p. 385. ^ a b c d e f g h Madden, Bill; O'Keefe, Michael (June 16, 2014). "Hall of Famer Tony Gwynn dead at 54". New York Daily News. Archived from the original on June 17, 2014. ^ "Tony Gwynn 1983 Batting Gamelog". Baseball-Reference.com. Archived from the original on September 22, 2012. ^ a b c Kuenster 2006, p. 409. ^ a b c d Center, Bill (October 7, 2001). "THE GREATEST PADRE: career timeline: '84". The San Diego Union-Tribune. Archived from the original on September 22, 2012. ^ a b "Gwynn gets hefty raise". Star-Phoenix. Associated Press. November 17, 1984. p. B12. Retrieved June 11, 2012. ^ a b Will, George F. (2010). Men at Work: The Craft of Baseball. HarperCollins. pp. 178–180. ISBN 0061999814. Retrieved June 11, 2012. ^ a b Distel, Dave (March 25, 1985). "Padres' Gwynn Is a Big Hit : National League Batting Champion Was Busy in Winter". Los Angeles Times. Archived from the original on September 9, 2015. ^ Hewitt, Brian (March 31, 1989). "PADRES 1989: 84' REVISITED? : MEMORIES : World Series Was a Disaster, but It Was Fun Getting There". Los Angeles Times. Archived from the original on June 12, 2012. ^ "Wiggins clears table for Padres". The Montreal Gazette. United Press International. July 27, 1984. p. C-9. Retrieved June 12, 2012. ^ Bloom, Barry (March 16, 1985). "Lineup experiment doesn't faze Gwynn". Evening Tribune. p. B-1. ^ a b Chass, Murray (August 25, 1985). "BASEBALL; PADRES' OFFENSE IS WEAKENED BY THE DEPARTURE OF WIGGINS". The New York Times. Archived from the original on September 9, 2015. ^ Noble, Marty (February 17, 2015). "Mets hopeful October fantasies become reality". MLB.com. Archived from the original on September 9, 2015. ^ Naiman, Porter 2010 p.179. ^ Mowery, Matthew M. (June 16, 2014). "Tigers Brad Ausmus, Torii Hunter have fond memories of Hall of Famer Tony Gwynn". The Morning Sun. Archived from the original on June 17, 2014. ^ Lockwood, Wayne (April 18, 1998). "Gwynn wrote the book on artful hitting". The San Diego Union-Tribune. p. D-2. It is interesting, too, to hear the reaction to what was considered in these parts to be a pretty nifty thing -- Gwynn's willingness to take less money to stay in San Diego than he could have commanded on the open market. ^ a b Krasovic, Tom (October 7, 2001). "Scaling heights of pay not Gwynn's only way". The San Diego Union-Tribune. p. C-15. Gwynn said he never begrudged fellow big leaguers their larger salaries, though Gene Orza, an executive with the players union, exchanged profanities with Gwynn after the player agreed to a six-year, $4.6 million pact following the 1984 season -- two years before Gwynn filed for personal bankruptcy. ^ a b Center, Bill (October 7, 2001). "THE GREATEST PADRE: career timeline: '85". The San Diego Union-Tribune. Archived from the original on September 25, 2012. ^ Christensen, Joe (March 30, 2007). "Twins: What can Mauer do for an encore?". Star Tribune. Archived from the original on June 12, 2012. ^ Anderson, Bruce (April 14, 1986). "12 San Diego Padres". Sports Illustrated. Archived from the original on September 9, 2015. ^ a b c d e f g h i j k l m n o "Tony Gwynn Statistics and History". Baseball-Reference.com. Retrieved June 15, 2012. ^ a b c d e Center, Bill (October 7, 2001). "THE GREATEST PADRE: career timeline: '86". The San Diego Union-Tribune. Archived from the original on July 17, 2012. ^ a b c d Pouliot, Matthew (June 16, 2014). "Tony Gwynn's Hall of Fame career, by the numbers". NBCSports.com. Archived from the original on September 4, 2015. ^ a b Jenkins, Chris (June 29, 2007). "The hit parade". The San Diego Union-Tribune. Archived from the original on September 20, 2015. ^ a b c d Canepa, Nick (June 22, 2014). "DEATH OF GWYNN HITS LIKE A SHARP PUNCH TO THE GUT". The San Diego Union-Tribune. Archived from the original on September 4, 2015. ^ Friend, Tom. "Padres Go Down in History, Then Down in Defeat". Los Angeles Times. Retrieved September 25, 2012. ^ a b c d McNeal, Stan. "Gwynn Timeline: From 1 to 3,000". SportingNews.com. Archived from the original on June 27, 2008. ^ a b c d Center, Bill (October 7, 2001). "THE GREATEST PADRE: career timeline: '87". The San Diego Union-Tribune. Retrieved September 25, 2012. ^ a b c d e f g h i Verducci, Tom (June 16, 2014). "Tony Gwynn was a joy to watch at the plate, and in life". SI.com. Archived from the original on June 18, 2014. ^ a b Sullivan, Tim (June 22, 2014). "NOTHING CHEAP ABOUT SULTAN OF SINGLES IN HALL". The San Diego Union-Tribune. Archived from the original on September 3, 2015. ^ a b c d e Will 1990, p.211. ^ a b Malinowski, Erik (June 16, 2014). "Hall of Famer Gwynn's incredible career in baseball, by the numbers". FoxSports.com. Archived from the original on September 4, 2015. ^ Chandler, Swank 2012, p. 331. ^ "Tony Gwynn 1988 Batting Splits". Baseball-Reference.com. Retrieved June 15, 2012. ^ Kernan, Kevin (September 18, 1988). "Padres split as Gwynn reaches top of hit parade". The San Diego Union. p. H-1. Then in the seventh, he broke Winfield's record when he lined a single to right on a sinker off right-hander Jim Acker. ^ a b Will 1990, pp.165–6. ^ Chandler, Swank 2012, pp. 215–17. ^ a b c d e f g h i j Kurkjian, Tim (March 11, 1991). "Beginning Again". Sports Illustrated. Archived from the original on June 5, 2012. ^ a b Stevenson, Samantha (October 11, 1990). "Despite Feud, Gwynn Says He'll Play With Clark". The New York Times. ^ "Gwynn Abandoned Padre Teammates, Jack Clark Says". The Seattle Times. Associated Press. September 30, 1990. Retrieved June 7, 2012. ^ Naiman, Joe; Porter, David (2003). The San Diego Padres Encyclopedia. p. 126. ISBN 9781582610580. Retrieved June 4, 2012. ^ Chandler, Bob; Swank, Bill (2006). Bob Chandler's Tales from the San Diego Padres. Sports Publishing. p. 113. ISBN 9781596700246. Retrieved February 27, 2014. ^ Nightengale, Bob (March 23, 1990). "Gwynn: Criticism 'Tough to Swallow' : Padres: His reaction to published comments by teammate Mike Pagliarulo overshadows another loss, 6–1 in Montreal". Los Angeles Times. Archived from the original on February 28, 2014. ^ a b c d e f g h Center, Bill (October 7, 2001). "Through the years: '90 – '91". The San Diego Union-Tribune. p. TONY GWYNN-1. "When the doctors examined me, they said it was more a product of playing seven straight years of both basketball and baseball in high school and college than baseball", Gwynn said. ^ a b c Nightengale, Bob (March 5, 1991). "Gwynn Rips Clark, Cites 'Jealousy'". Sun Sentinel. Archived from the original on June 7, 2012. ^ a b c Smith, Claire (March 3, 1991). "His Uniform Changes But Clark Doesn't". The New York Times. Archived from the original on September 19, 2015. ^ Nightengale, Bob (June 21, 1991). "Gwynn Turns a Rap to Raves : Padre's Acclaim Fueled in Part by Clark's Rips". Los Angeles Times. Archived from the original on September 13, 2015. ^ Kernan, Kevin (June 5, 1991). "Padres' 7-run second gives Benes 2nd thrill". The San Diego Union-Tribune. p. D-1. Retrieved September 16, 2015 – via NewsBank.com. ^ Posner, Jay (September 17, 1991). "Gwynn out with injury – Surgery likely to end year, hopes for fifth batting title". Evening Tribune. p. C-1. Retrieved September 16, 2015 – via NewsBank.com. ^ Chandler, Swank 2012, p. 333. ^ Center, Bill (October 1, 1995). "Tony's won six, could have won 9 hitting titles". The San Diego Union-Tribune. p. C-14. Retrieved September 16, 2015 – via NewsBank.com. ^ a b c Center, Bill (October 7, 2001). "THE GREATEST PADRE: career timeline: '92". The San Diego Union-Tribune. Archived from the original on July 10, 2012. ^ a b Jenkins, Chris (October 1, 2001). "When Ted talked, Tony listened". The San Diego Union-Tribune. p. E-2. ^ a b Rhoden, William C. (July 30, 2007). "Baseball: A weekend for the good guys". The New York Times. Archived from the original on June 7, 2012. ^ Newman, Mark (July 29, 2007). "Hall of Fame welcomes two class acts". MLB.com. Archived from the original on June 7, 2012. ^ a b c d e Center, Bill (October 7, 2001). "THE GREATEST PADRE: career timeline: '93". The San Diego Union-Tribune. Archived from the original on July 10, 2012. ^ Staples, Herschlag 2007, p. 388. ^ a b c d Olney, Buster (June 16, 2014). "A superhero in the batter's box". ESPN.com. Archived from the original on June 18, 2014. ^ a b c d Marchman, Tim (June 16, 2014). "How Tony Gwynn Cracked Baseball's Code And Became A Legend". Deadspin. Archived from the original on September 4, 2015. ^ a b c d Sullivan, Tim (June 16, 2014). "Tony Gwynn was a pure hitter, a pure joy". The Courier-Journal. Archived from the original on September 5, 2015. ^ Chandler, Swank 2012, p. 335. ^ a b Friend, Tom (June 17, 2014). "Tony Gwynn used fear as motivation". ESPN.com. Archived from the original on June 18, 2014. ^ a b c d e Thorn, John; Palmer, Pete; Gershman, Michael; Pietrusza, David; Silverman, Matthew; Lahman, Sean (1999). Total Baseball: The Official Encyclopedia of Major League Baseball. Total Sports. p. 155. ISBN 1892129035. ^ Olney, Buster (April 25, 1994). "Gwynn makes Phillies pay for knockdown". The San Diego Union-Tribune. p. D-1. Retrieved September 19, 2015 – via NewsBank.com. ^ a b c d e Center, Bill (October 7, 2001). "THE GREATEST PADRE: career timeline '94". The San Diego Union-Tribune. Archived from the original on September 19, 2015. ^ Finn, Chad (June 16, 2014). "Tony Gwynn: A Kindred Spirit Of Ted Williams, A Favorite Of Anyone Who Loves Baseball". Boston Globe. Archived from the original on June 20, 2014. ^ Kennedy, Kevin; Gutman, Bill (2005). Twice Around the Bases: The Thinking Fan's Inside Look at Baseball. HarperCollins Publishers. p. 178. ISBN 0-06-073463-9. ^ "Face to Face with Tony Gwynn". Electronic Gaming Monthly. Ziff Davis (85): 94. August 1996. ^ a b c Krasovic, Tom (August 1995). "Ted Williams' Batting Tips Absorbed by Tony Gwynn". Baseball Digest. 54 (8): 38–40. ISSN 0005-609X. Retrieved June 7, 2012. ^ a b c Corcoran, Cliff (June 16, 2014). "The 10 best seasons of Tony Gwynn's Hall of Fame career". Sports Illustrated. Archived from the original on August 4, 2015. ^ a b Center, Bill (October 7, 2001). "THE GREATEST PADRE: career timeline: '95". The San Diego Union-Tribune. Archived from the original on July 17, 2012. ^ Oz, Mike (June 16, 2014). "19 incredible stats about Tony Gwynn's Hall of Fame career". Yahoo! Sports. Archived from the original on September 15, 2015. ^ Friend, Tom (September 30, 1996). "Another Gwynn Gives Padres Title". The New York Times. Archived from the original on July 3, 2012. ^ Kovacevic, Dejan (August 16, 2012). "Kovacevic: Can't crown cheating Cabrera". Pittsburgh Tribune-Review. Archived from the original on August 24, 2012. ^ a b c d e f g h Chass, Murray (June 29, 2001). "ON BASEBALL; Hits to Stop Coming Once Gwynn Is Gone". The New York Times. Archived from the original on June 14, 2012. ^ Maske, Mark (August 24, 1997). "Baseball Notebook". The Washington Post. Archived from the original on September 4, 2015. ^ a b Center, Bill. "THE GREATEST PADRE: career timeline: '97". The San Diego Union-Tribune. Archived from the original on September 9, 2015. ^ "Tony Gwynn 1997 Batting Logs". Baseball-Reference.com. Retrieved September 9, 2015. ^ Canepa, Nick (September 1, 2002). "Last to hit .400? Gwynn woulda". The San Diego Union-Tribune. Archived from the original on September 9, 2015. ^ Chandler, Swank 2012, p. 247. ^ Jenkins, Chris (June 29, 2007). "The hit parade (part 2)". The San Diego Union-Tribune. Archived from the original on September 20, 2015. ^ a b "Hall of Famers Rod Carew and Tony Gwynn featured on Studio 42 with Bob Costas on Friday, November 19". MLB.com. November 17, 2010. Archived from the original on June 7, 2012. ^ a b c Silva, Steve (June 16, 2014). "Padres Great Tony Gwynn Dies at 54". Boston Globe. Archived from the original on September 9, 2015. ^ Bisheff, Steve (August 5, 1999). "Gwynn is anything but selfish to team". Beaver County Times. p. B3. Retrieved June 5, 2012. ^ "Upset Gwynn nears 3,000 hit". The Hour. Associated Press. August 2, 1999. p. B3. Retrieved June 5, 2012. ^ Diaz, George (August 5, 1999). "Mcgwire, Gwynn Swing For History". Orlando Sentinel. Retrieved June 26, 2014. ^ Rogers, Phil (August 6, 1999). "Milestone For Mcgwire". Chicago Tribune. Retrieved June 26, 2014. ^ a b c d e Chass, Murray (August 7, 1999). "BASEBALL; Another Day, Another Milestone". The New York Times. Archived from the original on June 14, 2012. ^ a b c d e Stark, Jason (June 16, 2014). "Tony Gwynn's incredible numbers". ESPN.com. Archived from the original on June 18, 2014. ^ a b c d Center, Bill. "THE GREATEST PADRE: career timeline '00". The San Diego Union-Tribune. Archived from the original on September 18, 2015. ^ Krasovic, Tom (June 24, 2000). "Gwynn faces knee operation – Worst case: Outfielder could be out for season". The San Diego Union Tribune. p. D-1. Retrieved September 18, 2015 – via NewsBank.com. ^ "Tony Gwynn 2000 Batting Gamelogs". Baseball-Reference.com. Retrieved September 18, 2015. ^ Krasovic, Tom (October 28, 2000). "Padres opt to let Gwynn be free agent". The San Diego Union-Tribune. p. D-1. Retrieved September 18, 2015 – via NewsBank.com. ^ McDonald, Jeff (December 8, 2000). "'TONY GWYNN IS THE PADRES' – Fans rejoice as veteran star seals deal to remain with local team". The San Diego Union-Tribune. p. A-16. Retrieved September 18, 2015 – via NewsBank.com. ^ "Gwynn, Padres come to terms as arbitration deadline passes". The Spokesman-Review. December 8, 2000. p. C2. Retrieved August 30, 2012. ^ a b c d e f g Center, Bill (October 7, 2001). "THE GREATEST PADRE: career timeline: '01". The San Diego Union-Tribune. Archived from the original on August 25, 2012. ^ "Tony Gwynn 2001 Batting Gamelog". Baseball-Reference.com. Archived from the original on August 25, 2012. ^ a b Chass, Murray (June 11, 2001). "Ripken Signs Off as an All-Star in Indelible Style". The New York Times. Archived from the original on September 8, 2015. ^ "Tony Gwynn: The Greatest Padre". The San Diego Union-Tribune. January 10, 2007. Retrieved January 12, 2010. ^ Chandler, Swank 2012, pp. 337–40. ^ a b Glanville, Doug (June 25, 2014). "Tony Gwynn was a pure contact hitter". ESPN.com. Archived from the original on September 5, 2015. ^ Kurkjian, Tim (May 3, 2002). "Bad-ball wonders: Vlad, Ichiro hit everything". ESPN The Magazine. Archived from the original on September 5, 2015. ^ a b c d Murray, Jim (August 17, 1993). "Seasons Change, but Not Reliability of Padres' Gwynn". Los Angeles Times. Archived from the original on September 10, 2015. ^ a b c d e Bostrom, Don (December 25, 2006). "Two for the Hall". The Morning Call. Archived from the original on February 26, 2014. ^ a b c d e f Neyer, Rob (January 3, 2015). "IS THERE ROOM IN TODAY'S BASEBALL FOR ANOTHER TONY GWYNN SR.?". FoxSports.com. Archived from the original on September 4, 2015. ^ a b c Elderkin, Phil (July 8, 1997). "This Ball Player Comes Out Swinging". Christian Science Monitor. Archived from the original on September 8, 2015. ^ Posnanski, Joe (June 16, 2014). "THE ARTIST WITH OVER 3,000 HITS". NBASports.com. Archived from the original on September 9, 2015. ^ Rosenthal, Jim; Mattingly, Don (2014). "Don Mattingly's Hitting Is Simple: The ABC's of Batting .300". St. Martin's Griffin. p. 25. ISBN 9781466867758. Retrieved September 6, 2015. ^ a b Will 1990, p196. ^ O'Neill, Shaun (October 8, 2001). "Gwynn is truly unique". The San Diego Union-Tribune. Archived from the original on February 28, 2014. ^ Hoffer, Richard (March 4, 1998). "Enough About Me. What Do You Think Of My Stats?". Sports Illustrated. Archived from the original on February 28, 2014. ^ a b Bodley, Hal (July 27, 2007). "Tony Gwynn singled his way into Cooperstown". USA Today. Archived from the original on February 26, 2014. ^ Wilson, Bernie (January 5, 2007). "Gwynn's long-ago choice will be validated by a call from the Hall". San Diego Union-Tribune. Archived from the original on February 26, 2014. ^ Will 1990, pp.172, 176. ^ a b c Kennedy, Kirk (June 22, 2014). "WORK ETHIC DROVE GWYNN TO HIS STANDING AS LEGEND". The San Diego Union-Tribune. Archived from the original on September 4, 2015. ^ Bodley, Hal (July 30, 2007). "Padres' Gwynn turned hitting into a science". USA Today. Archived from the original on September 13, 2015. ^ a b Will 1990, p.165. ^ "Gwynn, San Diego fit each other". Lubbock Avalanche-Journal. AP. October 21, 1998. Archived from the original on September 4, 2015. ^ "Prospectus Roundtable". BaseballProspectus.com. October 1, 2004. Archived from the original on September 4, 2015. ^ a b Nightengale, Bob (July 18, 2007). "To Gwynn, Hall was worth the weight". USA Today. Archived from the original on September 6, 2015. ^ Norcross, Don (June 21, 2012). "Sports Illustrated tells great big lie". U-T San Diego. Archived from the original on July 2, 2012. ^ Granillo, Larry (January 24, 2012). "Wezen-Ball". BaseballProspectus.com. Archived from the original on September 4, 2015. ^ a b Sheehan, Joe (June 16, 2014). "33. Tony Gwynn". joesheehan.com. Archived from the original on September 14, 2015. ^ O'Neill, Shaun (April 18, 2001). "Gwynn chases cycle". The San Diego Union-Tribune. Archived from the original on September 15, 2015. ^ a b c d e Spencer, Lyle (January 9, 2007). "Gwynn-win situation in Hall voting". MLB.com. Archived from the original on July 3, 2012. ^ Olney, Buster (June 17, 2014). "When Tony Gwynn spoke up". ESPN.com. Archived from the original on June 18, 2014. ^ Vorkunov, Mike (June 17, 2014). "Mets, David Wright learned hitting lesson from Tony Gwynn". NJ.com. Archived from the original on September 4, 2015. ^ a b Nightengale, Bob (June 16, 2014). "Nightengale: Tony Gwynn was truly the greatest". USA Today. Archived from the original on September 4, 2015. ^ Kepner, Tyler (June 16, 2014). "In a .338 Lifetime Average, Every Day Counted". The New York Times. Archived from the original on June 18, 2014. ^ a b c d Nightengale, Bob (June 16, 2014). "Nightengale: Tony Gwynn left a lasting impression". USA Today. Archived from the original on June 18, 2014. ^ a b Crasnick, Jerry (June 16, 2014). "Memorable encounter with Mr. Padre". ESPN.com. Archived from the original on September 7, 2015. ^ a b c d e f Jenkins, Chris (June 16, 2014). "Padres legend Tony Gwynn dead at 54". U-T San Diego. Archived from the original on June 17, 2014. ^ Passan, Jeff (June 16, 2014). "Tony Gwynn's innovation sparked Hall of Fame career, made him Mr. Padre". yahoo.com. Archived from the original on June 17, 2014. ^ a b c Graney, Ed (June 16, 2014). "Tony Gwynn never consumed by big-league attitude". Las Vegas Review-Journal. Archived from the original on September 9, 2015. ^ Kuenster 2006, pp. 409–10. ^ "Padres retire Gwynn's No. 19". San Diego Union-Tribune. Associated Press. September 4, 2004. Archived from the original on February 26, 2014. ^ Lin, Dennis (November 30, 2016). "Tony Gwynn to be inducted into California Hall of Fame". The San Diego Union-Tribune. Archived from the original on January 21, 2017. ^ a b c "Tony Gwynn joins group in bid to purchase Pads". ESPN.com. Associated Press. Archived from the original on May 22, 2012. ^ a b Schrotenboer, Brent (June 8, 2012). "Gwynn has tax liens going into Padres bid". U-T San Diego. Archived from the original on July 2, 2012. ^ a b c d Shaikin, Bill (June 16, 2014). "Remembering Padres Hall of Famer Tony Gwynn, the 5.5 guy". Los Angeles Times. Archived from the original on September 5, 2015. ^ "Mountain West Baseball MVP Award Named 'Tony Gwynn Award'". KPBS.org. September 17, 2014. Archived from the original on September 14, 2015. ^ "Midsummer Classic pregame festivities honor pair of Hall of Famers, including legendary "Mr. Padre" of host San Diego" (Press release). Major League Baseball. July 12, 2016. Archived from the original on January 21, 2017. ^ Huhn, Bob (July 29, 2007). "Ripken, Gwynn inducted into Hall of Fame". Yahoo.com. PA SportsTicker. Archived from the original on September 18, 2015. ^ "Tony Gwynn". San Diego Hall of Champions. Archived from the original on June 25, 2012. Retrieved June 8, 2012. ^ a b Posnanski, Joe (October 19, 2009). "The 10 best pure hitters". SI.com. Archived from the original on September 4, 2015. ^ "NATIONAL LEAGUE: ROUNDUP; Gwynn Expected To Announce His Retirement". The New York Times. June 28, 2001. Archived from the original on June 14, 2012. ^ Smith, Ron (1998). The Sporting News Selects Baseball's 100 Greatest Players. The Sporting News Publishing Co. p. 109. ISBN 0-89204-608-2. ^ "Many Players Put Up Landmark Numbers Gwynn Wins Eighth Batting Title, But Mcgwire, Griffey Went Deep". The Spokesman-Review. Associated Press. September 29, 1997. Archived from the original on March 6, 2014. ^ a b c d Naiman, Porter 2010, p.178. ^ a b c Keri, Jonah (June 16, 2014). "Tony Gwynn: 1960-2014". grantland.com. Archived from the original on June 18, 2014. ^ Schmehl, James (June 16, 2014). "Detroit Tigers saddened by passing of Tony Gwynn: 'We lost a great man, a great baseball player'". mlive.com. Archived from the original on September 14, 2015. ^ Shriver, Greg (January 11, 2008). "Tony Gwynn on steroid era: 'We're all guilty'". USA Today. Archived from the original on February 26, 2014. ^ a b Swydan, Paul (June 16, 2014). "Tony Gwynn Was Always in Control". Fangraphs. Archived from the original on September 4, 2015. ^ Krasovic, Tom (June 22, 2014). "GWYNN'S 3,000TH LAUNCHES 4-FOR-5 NIGHT". The San Diego Union-Tribune. Archived from the original on September 3, 2015. ^ Curry, Jack (January 9, 2007). "Two Elected to Hall of Fame; McGwire Misses". The New York Times. Archived from the original on June 14, 2012. ^ a b c d Perry, Tony (June 16, 2014). "Flags to fly at half-staff in San Diego after death of Tony Gwynn". Los Angeles Times. Archived from the original on September 8, 2015. ^ Kenney, Kirk (December 29, 2014). "The 52: Tony Gwynn is No. 1 in our book". The San Diego Union-Tribune. Archived from the original on September 15, 2015. ^ Miller, Randy (June 16, 2014). "Tony Gwynn, dead at 54, was 'basically indefensible' as hitter, says Doug Glanville". NJ.com. Archived from the original on September 4, 2015. ^ Kepner, Tyler (January 8, 2008). "After Hall of Fame Snub, Tim Raines's Numbers Bear a Closer Look". The New York Times. Archived from the original on September 8, 2015. ^ Keisser, Bob (2013). Baseball in Long Beach. The History Press. p. 35. ISBN 9781609499969. Retrieved March 6, 2014. ^ Brown, Tim (July 26, 2007). "Power the other way". yahoo.com. Yahoo! Inc. Archived from the original on July 10, 2012. ^ White, Paul (June 16, 2014). "Tony Gwynn was the purest hitter of an impure era". USA Today. Archived from the original on September 5, 2015. ^ McGuire, Justin (June 16, 2014). "Padres great Tony Gwynn dies of cancer at 54". Sporting News. Archived from the original on July 2, 2014. ^ Schoenfield, David (June 16, 2014). "Tony Gwynn: The man could hit". ESPN.com. Archived from the original on September 14, 2015. ^ Plaschke, Bill (August 14, 1988). "Padre Notebook : Davis Gave Up Some Leverage for Secure, Merry Christmas". Los Angeles Times. Archived from the original on September 13, 2015. ^ Will, George F. (1999). Bunts. Simon and Schuster. pp. 158–9. ISBN 9780684853741. Retrieved September 13, 2015. ^ O'Neill, Shaun (February 20, 2001). "Gwynn could be sliding down the order". The San Diego Union-Tribune. Archived from the original on September 13, 2015. ^ "Tony Gwynn Career Batting Splits". Baseball-Reference.com. Retrieved September 13, 2015. ^ a b Kenney, Kirk (June 11, 2014). "Gwynn, Martinez receive extensions". U-T San Diego. Archived from the original on June 17, 2014. ^ a b "Gwynn arguably the best hitter of his era". Wilkes Journal-Patriot. June 18, 2014. Archived from the original on June 18, 2014. ^ "PLUS: COLLEGE BASEBALL; Gwynn to Coach San Diego State". The New York Times. September 21, 2001. Archived from the original on June 14, 2012. ^ Schrotenboer, Brent (June 20, 2012). "Aztecs improve academic scores". U-T San Diego. Archived from the original on July 2, 2012. ^ Acee, Kevin (May 25, 2012). "Aztecs, Gwynn still going for now". U-T San Diego. Archived from the original on July 2, 2012. ^ Kenney, Kirk (April 22, 2014). "Gwynn: 'I'm doing good'". U-T San Diego. Archived from the original on June 17, 2014. ^ "Padres announce broadcast schedule". MLB.com. March 4, 2011. Archived from the original on June 18, 2014. ^ "Broadcasters". MLB.com. Archived from the original on June 18, 2014. ^ a b Acee, Kevin (June 12, 2012). "Tull withdraws bid to buy team". U-T San Diego. Archived from the original on July 2, 2012. ^ McCauley, Jane (July 19, 2006). "Giants 7, Brewers 6". San Francisco Chronicle. Associated Press. Archived from the original on May 27, 2009. ^ "Chris Gwynn Statistics and History". Baseball-Reference.com. Retrieved June 8, 2012. ^ Hetrick, Bruce (June 18, 2014). "Tony Gwynn's Second Base: Indianapolis". indianapolismonthly.com. Archived from the original on June 21, 2014. ^ a b "Report: Hall of Famer Tony Gwynn Has Cancer". dailycaller.com. Associated Press. October 9, 2010. Archived from the original on October 24, 2012. ^ Hamilton, Lee "Hacksaw" (October 9, 2010). "1-MAN'S OPINION: Tony Gwynn Fighting Cancer". SanDiego.com. Archived from the original on October 12, 2010. ^ a b c d Sullivan Brennan, Deborah (June 16, 2014). "Tony Gwynn battled rare cancer". U-T San Diego. Archived from the original on June 17, 2014. ^ a b c d Friend, Tom (March 25, 2011). "Tony Gwynn returns after facing cancer". ESPN.com. Archived from the original on March 27, 2011. ^ Bloom, Barry M. (April 4, 2011). "Gwynn taking fight with cancer a day at a time". MLB.com. Archived from the original on October 24, 2012. ^ Bloom, Barry M. (June 16, 2014). "Hall of Famer Gwynn passes away at 54". MLB.com. Archived from the original on June 16, 2014. ^ Jenkins, Chris (June 27, 2014). "'Live Like Tony' 20,000-Plus Bid Farewell to Mr. Padre". U-T San Diego. Retrieved June 27, 2014. ^ Chass, Murray (September 26, 2004). "League's Best Relievers Lift Rangers Back Into Pennant Race". The New York Times. Archived from the original on March 4, 2014. ^ Naiman, Porter 2010, p.249. ^ a b c d e f g h i j k l m n o p q "San Diego Padres Top 10 Batting Leaders". Baseball-Reference.com. Retrieved March 1, 2014.